Where did the Recommendations go? A few weeks ago I updated a LinkedIn Recommendation for a business colleague. In turn, this individual wanted to provide me with a Recommendation on LinkedIn, however, with the new navigation bar she was unable to locate this section. So… where did LinkedIn Recommendations go? 5. 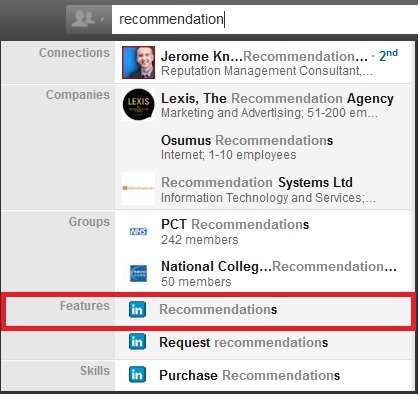 From this page users can manage existing recommendations (show/hide) or ask for recommendations from colleagues. Because Recommendations have been removed from the main navigation bar, they are not as intuitive as they once were. That said, they are still available for LinkedIn users! 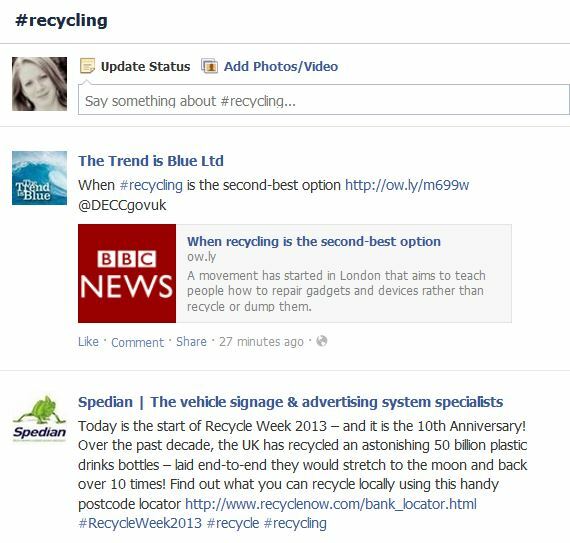 Last week Facebook introduced the ability for users to include hashtags in their posts and comments. For those of you with a presence on multiple social media platforms, you’re aware that hashtags have been used for years on Twitter, Pinterest, tumblr, and more recently, Pinterest. The same functionality doesn’t exist on Facebook… yet. Wondering how to search for hashtags on Facebook? 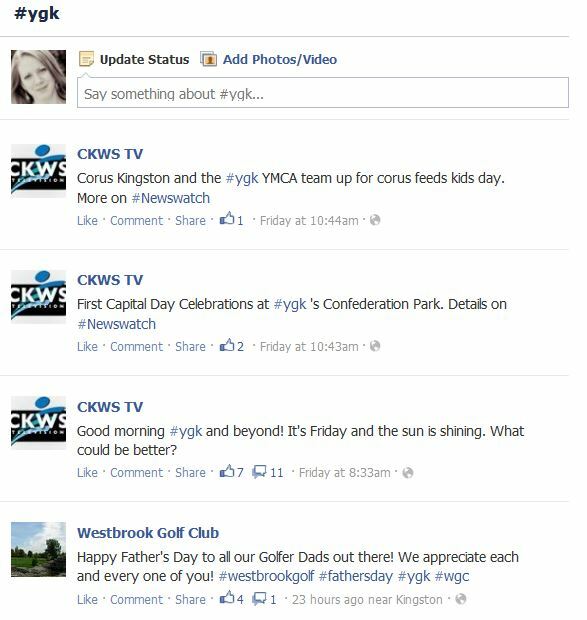 This will bring up all the public Facebook posts that include #ygk, which is code for Kingston, Ontario, Canada. One of the things to remember about hashtag searches is that they only will aggregate public posts. That means if you have a private post on your personal Timeline, including a hashtag will not cause a post to become public! Try a few searches for yourself, and let me know what you find! This morning I was working on a Literature Review, which is the final assignment for my final Brock University Bachelor of Education course. The topic I’ve chosen to pursue is: “The Economic Benefits of Lifelong Learning in the Knowledge Economy.” Essentially I am researching how skills training and development truly affects the economy. In previous generations formal education was not a requirement on a resume, and obtaining a high school diploma was a big deal. If a student pursued post-secondary education, they were either wealthy or a genius. Once that particular student graduated from the realms of post-secondary they were guaranteed a secure and prosperous job. Since that time, the world has changed. High school students are corralled into universities at an alarming rate to continue the next step of their education. Unfortunately, the knowledge they graduate with is already out-of-date from when they began their university career. It’s true. Universities are educating students for jobs that do not exist. As I was reading through journal articles and textbooks, I came across an interesting quote: “The rate of learning must equal the rate of change” (Bateson & Revans). This statement makes complete sense. Organizations must become places in which learning, education, and training are encouraged and ongoing. These are sometimes called Learning Organizations. Because society has transitioned into a knowledge-based economy, the most critical piece of capital is our ability to be creative and innovate. As a result, organizations must provide ongoing learning opportunities for employees to maintain existing levels of productivity. As I gaze upon my never-ending to-do list, I realize that there is a constant line item: Update Seminars. It makes sense. I work in a dynamic industry, where social media platforms are updated constantly. Even as a sole proprietor, I must continually update presentations, handouts, and learning objectives to meet the needs of my clients and maintain levels of productivity.